My hospital uses the Protective Plus and the Saf-T-Intima.Â Recently we have been approached by our BD rep. disclosing that the Saf-T-Intima is not rated for CT injection.Â They have manufactured a new product that is CT rated called the Nexiva.Â The FDA has received numerous reports/complaints of tubing rupture, catheter embolism etc. and has issued warnings to no avail. as this continues to be a problem.Â The FDA states that if the product does not have a rating then it is to be considered not useable for power injection. 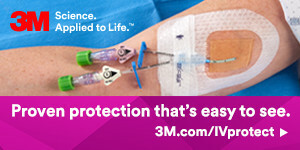 Â Since our facility now knows that this catheter is not rated we are working on a plan.Â I love the Saf-T-Intima due to its comfort, ease of teaching nurses how to start IVs and would hate to give this product up.Â The Nexiva is more than double the cost for us (which is not a consideration at this time) and the Protective is being used in the ER, OR, and patients going to surgery where rapid infusions are necessary. Â My question is what products are you using?Â Are there more products out there?Â Is their another product that is a closed system where an additional extension is not needed?Â Â Anyone in this same situation? Why can't you have 2 products available to you. We also discovered this about a year ago and now only place intocans when the patient is going for a CT scan. We used to use the Insyte Autogard,which I prefer over the Introcan. I know these are not closed systems,so to speak,but you can add a T-extension to these other CON devices. Is the Protective rated for CT use? If it is can you not just use for patients going for CT scan. I am sure you are educating the CT techs not to use the Saf-T-Intima for power injection as they are the final users. I too,love the Intima and have seen samples of the Nexiva and I do not know of any other product quite like it. We can have both products available. This issue is trying to determine who will need a cat scan. For outpatients coming in for a CT its not an issue because they will have a protective plus inserted. The problem is all the other patients. For example, most inpatients receive the Intima as it is preferred by our IV nurses, floor nurses, and patients due to the contained blood and comfort factor. If they then should need to have a cat scan do we place an additional IV that is CT rated? Some of these peole we are lucky to get one line in. This is the issue. We have just completed our conversion to the Nexiva catheters from the Insyte Autoguard. We continue to stock the Autoguard in our institution for two reasons: (1) our EMS uses the Autoguard so we continue to keep a stock in ER; (2) if a patient is not going to be admitted we use the autoguard because it is more cost effective. The "trick" can be determine who will or won't become an inpatient and who may or may not need a CT scan. Do I understand your post that the FDA has recieved numerous complaints about the Nexiva rupturing with CT infusion??? No, the FDA has issued warnings regarding ruptures occuring with tubings, catheters, etc. that are not CT compatible. Google FDA contrast warning. Their stance is if the product is not pressure rated then it is not to be used. The Nexiva is rated. BD manufactured this product because the Saf-T-Intima did not meet the standards for high powered injection. In our facility we will have to continue using the Protective Plus in certain areas. Anesthesiologists will not allow the Saf-T-Intima for adult OR cases because of the flow restriction due to the small diametered extension.